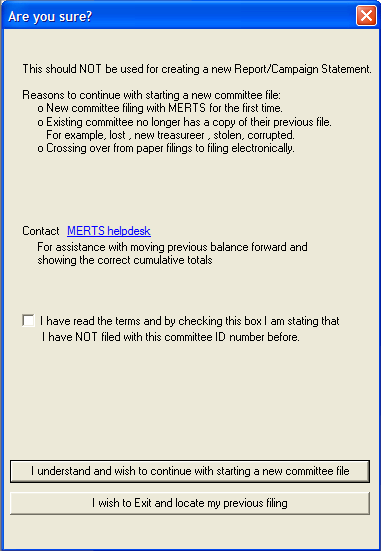 Click the ‘I have read the terms..’ check box to proceed with creating a new committee file. ‘I wish to Exit..’ Will close the setup feature. 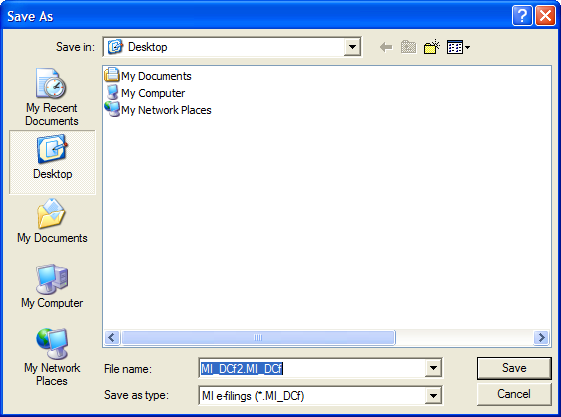 Select the ‘Open’ icon on the toolbar to search for the original file. 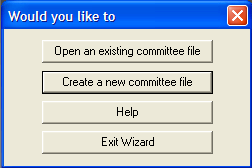 Click Ok to proceed with the committee information OR click Cancel to exit the wizard. 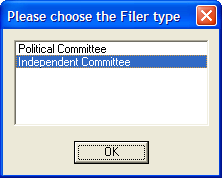 Replace ‘My Committee’ with the committee name on file with the Bureau of Elections. 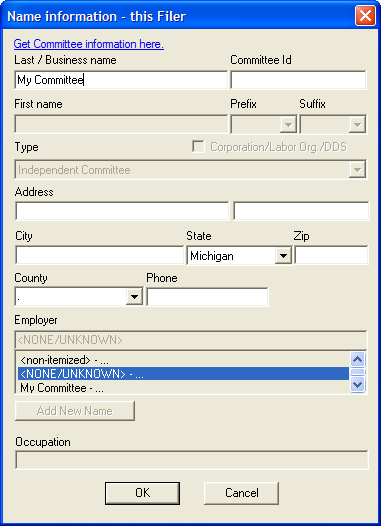 Add the committee identification number, address information and other information requested. 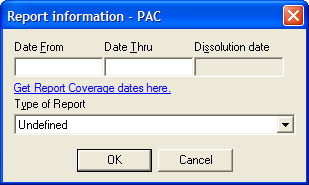 Enter the coverage dates for the reporting period and other information requested. Select Get Report Coverage dates here for a complete list of reports and dates. Select Enter Transactions to proceed to the Summary Page and Data Entry tab to start entering transactions. Select Add Names to proceed to the Names tab to start entering names. Save the file, choose a name and location. Enter a file name that is easy to remember and identify as a MERTS file. Note: Replace the default name with a specific name of the committee and not a report. For example JANE SMITH MERTS FILE (Candidates), SAVE THE PEOPLE MERTS FILE (PAC, Ballot Question or Political Party).